Pranayama, Poses & Parachutes, OY MY! 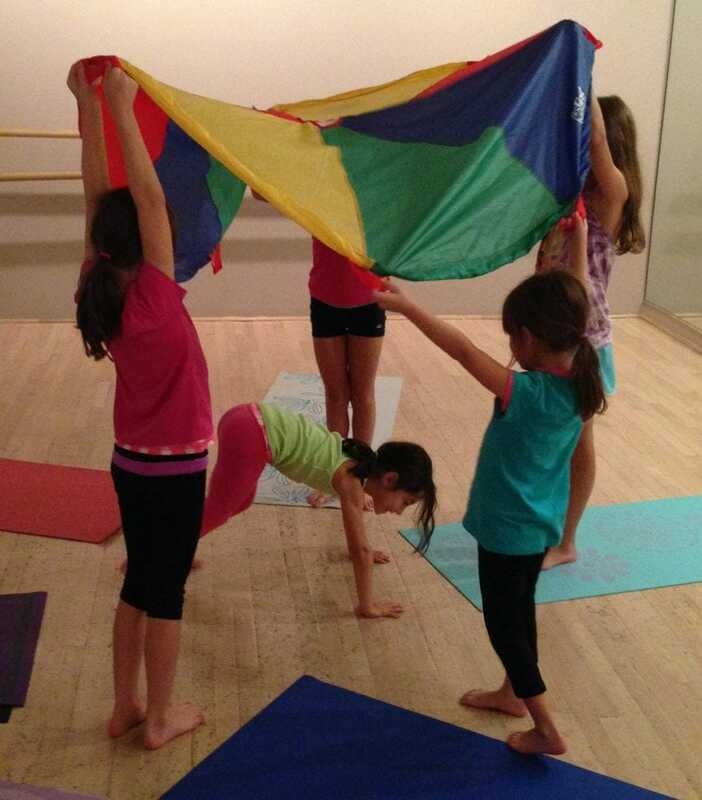 A parachute can be a great way to get young yogis excited and engaged in an activity. The challenge is found in collecting that wonderful energy and directing it into a meaningful yoga activity. Sitting in a circle, ask everyone to sit in “Pretzel Pose” and bring out the parachute. You don’t need balls or any extras, just focus on how to hold the parachute together. Explain that this works if we all focus and work together. Ask everyone hold on to the parachute with both hands (either the edge or a handle) facing the parachute. Sitting in either Pretzel or Hero Pose, have everyone take a deep breath through their nose and raise the parachute up. Slowly lower the parachute as you exhale. Do this a few times so that the children can focus on their breath and the parachute working together. Adding “OM” on the exhale helps with keeping things slow and steady. Next, have everyone sit on their knees, raise the parachute up on a big inhale and say “Namaste” to their friends under the parachute. Slowly lower the parachute on the exhale. 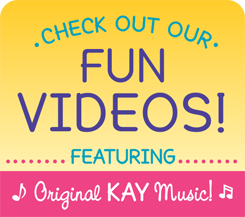 This is a lot of fun, and the kids will want to do it a few times. This is where things may get a little silly. Try your best to keep your yogis engaged, but from time to time, you may have to go back to “Pretzel Pose” to regroup. Once the yogis are ready, stand in “Chair Pose” while holding the parachute. Rising up, call out a pose to do together and bring the parachute up as high as you can: Goddess, Tree and Warrior 3 are fun. You can try letting go with one hand and do Dancer (if you are brave). The best part of this game is when the yogis get to go under the parachute. Starting in “Chair Pose,” bring the parachute up high and call out a yogi’s name. That child should go under the parachute and do his or her favorite pose. The group gently lowers the parachute down (cue giggles & lots of laughing). The yogi in the middle gets to call out the name of the next yogi for each round. The yogis LOVE when they get to call the name of the teacher for the last round!!!! 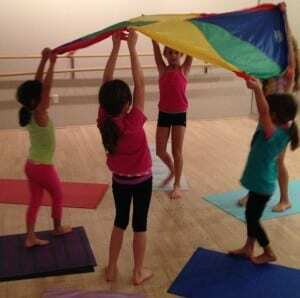 Enjoy using a parachute for a special surprise during class. For a final treat, use the parachute to cover up the yogis during the Secret Garden and float on a magical hot air balloon!!! Have fun & be creative!